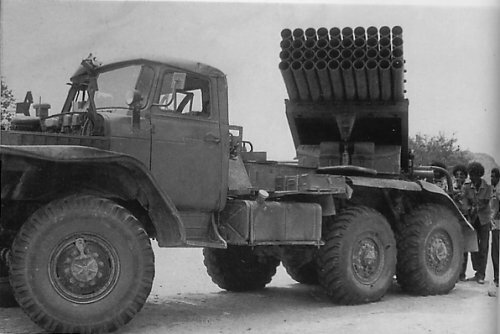 For the first time, the Eritreans managed to capture many of these Russian multiple rocket launchers. (Known as Stalin organ). The Eritreans use to call it "Falul" (meaning out of control) for it never hit its target during its deployment with the Ethiopian army. In the hands of the Eritreans, however, it was a devastating and powerful friend.